I am excited to announce that Paperbag Studios has just released new rubber art stamps! We have also redesigned our web site, making it more user friendly and easier to find things! 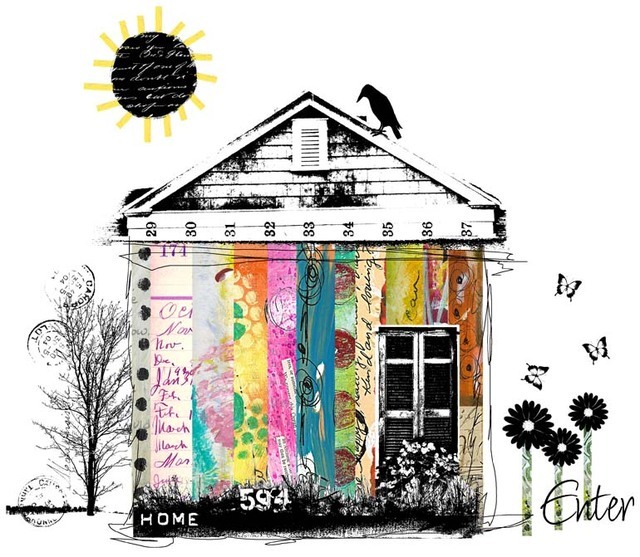 The Gallery has new samples, showcasing the new stamp images with designs by Audrey Hernandez, Celine Navarro, Erika Tysse, Jo Capper-Sandon and Lori Lundy. In addition, visit the Paperbag Studios Flickr Group to share your own artwork! "What three things would you like to change in the world?"